RED HOUZ ENTERTAINMENT presents "JUST THE WAY YOU ARE" by CYX. 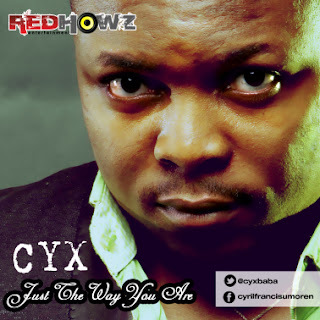 Cyril Umoren a.k.a CYX is a dance hall/hiphop artiste that is known for his massive club hits. The track "JUST THE WAY YOU ARE" have been enjoying massive airplay in major radio stations and clubs. CYX took his musical career to a professional level and has garnered recognition and achievements by becoming one of the fastest rising acts in the south.